Chairman of Lucky Strike Village, Belize, Oscar Pollard was today charged with two counts of aggravated assault and use of threatening words after he pulled a shotgun on Belize Rural North Area Representative Edmund “Clear the Land” Castro and his driver. Mr. Castro told Village View Post that he had gone to the Lucky Strike Community Center to inspect some piping and was denied access to the building by Pollard. Pollard then pulled out a shotgun and threatened to kill Castro and his driver. This is not the first time that Pollard threatened Minister Castro, earlier this year he reportedly threatened Castro after he criticized some work Pollard did on the Maskall Health Center in Maskall Village. Mr. Castro told Village View Post that Pollard threatened to kill him before Christmas Eve. Mr. Castro also said that he has everything documented for the courts. 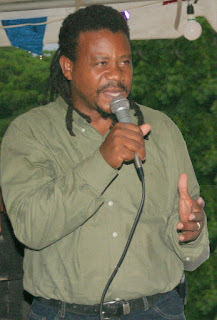 Pollard will appear in Magistrate’s Court tomorrow, Dec. 11th, 2008 to answer to the charges.